All located on the North Shore of Lake Superior, between Duluth and Grand Marais. Give more Memories. Adventure. Relaxation. Togetherness. and Thrills. Give them a gift of relaxing in outdoor beauty and indoor comfort and let them decide where or when to go. Summer, Winter, Spring or Fall, the Odyssey Resorts are always open for relaxing getaways with the entire family or just that special someone. Give them a gift they will never forget. Gift the north shore experience. 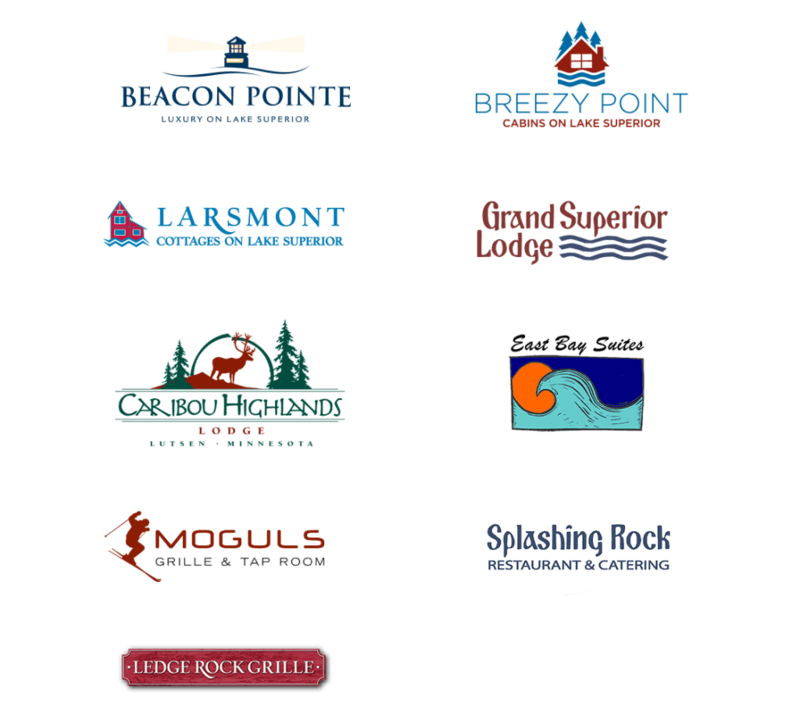 Our gift cards are universal and can be used for gift shop purchases, dining, and lodging at any of our 6 resorts and 3 restaurants. The recipient will receive a physical gift card(s) with a brochure of where the gift card is eligible to be used. Gift certificates are non-refundable. Not valid for private events. Where can the Odyssey gift card be used? Our gift cards are universal and can be used for gift shop purchases, dining, and lodging at any of our 6 resorts and 3 restaurants. Can I use my gift cards towards a private event? Only on guest lodging, not on banquet or add-on services. When will I receive my gift cards? Physical gift cards will be processed and shipped within 2 business days of purchase. What will I receive with my purchase of a gift card? The recipient will receive a physical gift card(s) with a brochure of where they’re eligible to be used (6 resorts and 3 restaurants). How do I check the balance on my gift card? Click Here to check your gift card balance. or click on the drop-down tab under gift card. Odyssey Resorts Gift Cards are valid at all 6 resorts and 3 restaurants. They are sure to delight. Please Call 218.834.3796 Ext: 124 and ask for Roxanne. Digital gift cards are available for individual Odyssey Resorts via the Giftbomb app! Buying digital cards offers a variety of advantages including the ability to schedule gifts. Important Information: Giftbomb digital gift cards can only be redeemed at the resort they were purchased for. Odyssey Resorts is not affiliated with Giftbomb.